Directed by Chris Buck, Jennifer Lee. With Kristen Bell, Idina Menzel, Jonathan Groff, Josh Gad. 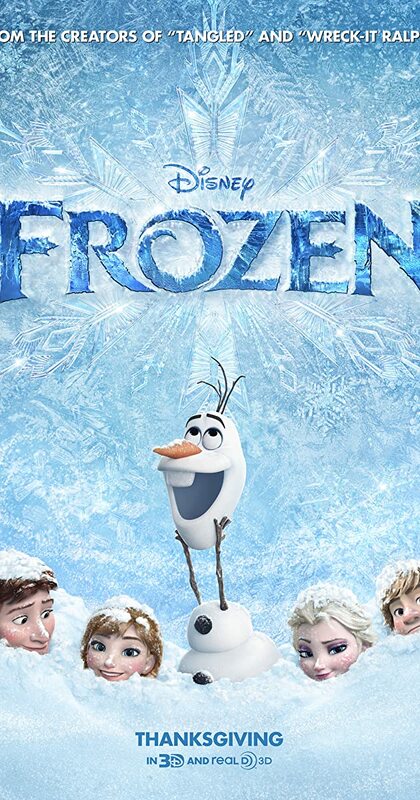 When the newly-crowned Queen Elsa accidentally uses her power to turn things into ice to curse her home in infinite winter, her sister Anna teams up with a mountain man, his playful reindeer, and a snowman to change the weather condition.